Justice will be served this summer at Madame Tussauds Orlando. The world-famous attraction revealed plans to unite an all-star cast of DC Super Heroes in an epic new experience. For the first time ever, fans of DC's Justice League will come face-to-face with their favorite heroes in an action-packed adventure unlike any other. From fear comes courage! Guests will get a chance to star alongside Justice League's Gal Gadot as Wonder Woman, Henry Cavill as Superman and Ben Affleck as Batman, as they fight to save the world from Lex Luthor's evil corporation, LexCorp. 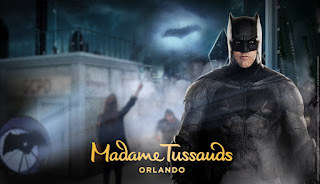 Developed in collaboration with Warner Bros. Consumer Products on behalf of DC Entertainment, this first-of-its-kind attraction experience combines an all-star cast with blockbuster thrills, authentic replica props and costumes that bring each character to life like only Madame Tussauds can do. "Fans have never come this close to the action," said James Paulding, General Manager. 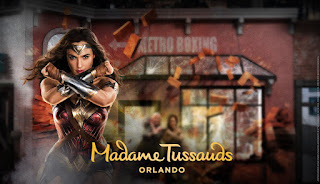 "Madame Tussauds Orlando, together with Warner Bros. Consumer Products, have created a Justice League experience you have to see to believe – from the unbeatable roster of DC Super Heroes to the sensational, hi-tech experiences." Justice League: A Call for Heroes will also debut later this summer at Madame Tussauds Sydney, part of a greater transformation across Madame Tussauds attractions around the globe to deliver live fame experiences that make guests the star of their favorite stories. HEROES UNITE! The battle begins when the Justice League lands at Madame Tussauds Orlando on May 25, 2018. Guests who answer the call will be transported to the streets of Gotham City and Metropolis, uniting with the Justice League Super Heroes in a series of thrilling missions to destroy LexCorp's hold on the world. Wonder Woman guests will help to destroy LexCorp's formidable technology that has disabled the city. By harnessing their inner super power, guests will be able to emit a powerful blast from Wonder Woman's gauntlets to weaken LexCorp's control over the city. Elsewhere in the city, Lex's experiment wreaks havoc, sending a helicopter and its occupants hurtling toward the ground. Guests will have to summon all their strength and join Superman to help lift a REAL helicopter back into the sky as onlookers cheer from the streets below. As the battle continues, one Super Hero will remain elusive. Guests must summon Batman with the Bat-Signal. Billowing smoke and wind reveal Batman as he's called into battle on the rooftop, ready to save the world. 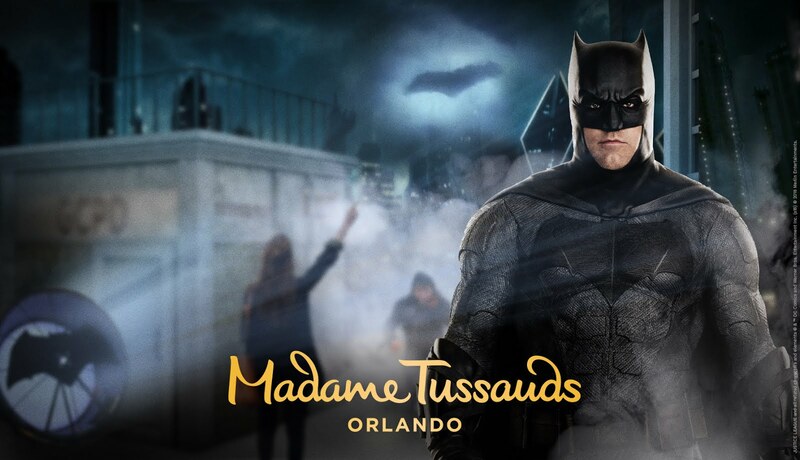 Madame Tussauds Orlando is issuing a challenge to the bravest of Justice League fans – starting now! Mother Boxes, unique artifacts with immense powers, have surfaced in five cities across the globe. The Mother Boxes must be found and brought to Madame Tussauds Orlando in order to help destroy the energy-extracting forces that threaten Earth. 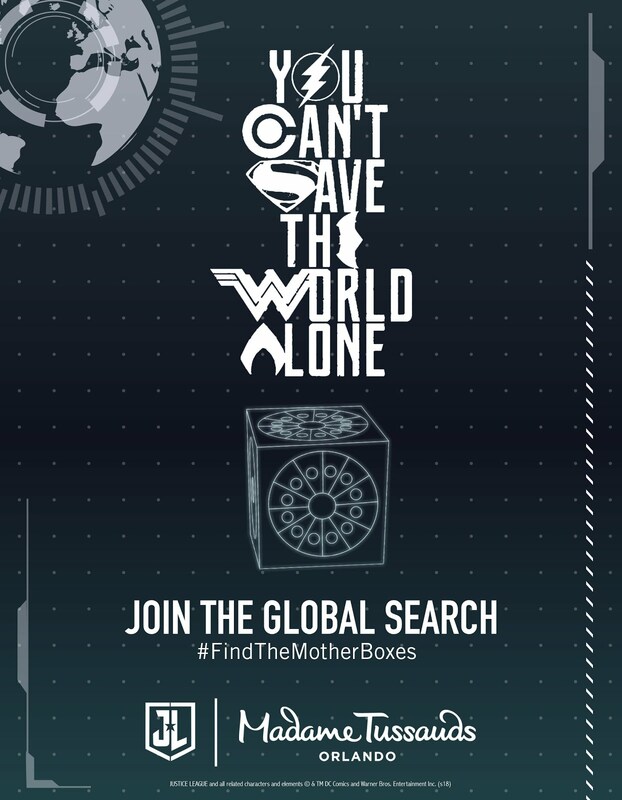 Brave challengers who find the Mother Boxes will be rewarded with a once-in-a-lifetime VIP experience including a five-day, four-night trip for the winner and one guest to Orlando, plus two tickets to be among the first to help save the planet in Justice League: A Call for Heroes. Winners will also receive two tickets to MegaCon Orlando® and SEA LIFE Orlando Aquarium. 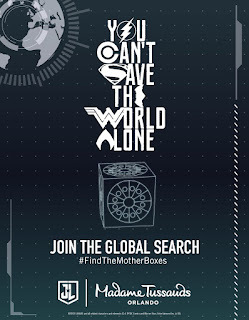 To find the Mother Boxes, follow @tussaudsorlando and #FindTheMotherBoxes on Instagram. NO PURCHASE NECESSARY. Each Participation Period begins with the first announcement in the corresponding Location and ends when the Mother Box is claimed or when Participation Period ends, whichever occurs first. Open only to legal U.S. residents residing in the 48 contiguous U.S./D.C., the UK, and Canada (excluding Quebec) who are 18 yrs. of age at the time of participation. See Terms & Conditions at https://bit.ly/2qaFq3Q for participation periods, locations, prize description/restrictions and complete details. Prize winners must be able to travel to Orlando, Florida on May 21-25, 2018. Skill test required for residents of Canada. Void where prohibited. Sponsor: Madame Tussauds Orlando, a division of Merlin Entertainments Group plc. 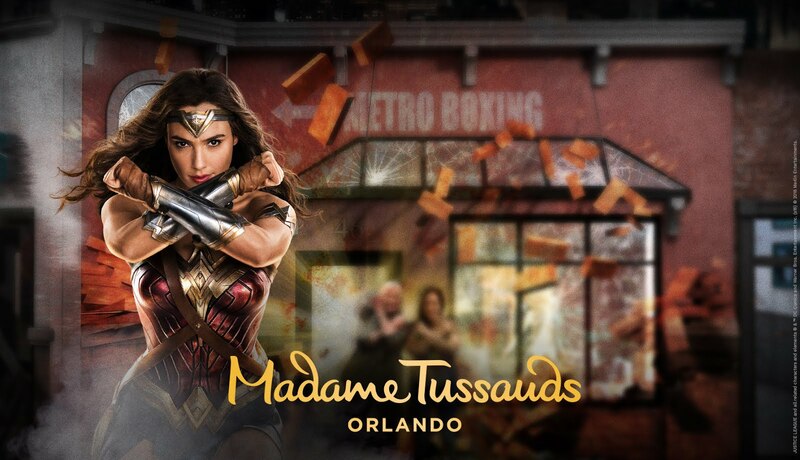 For tickets and more information, please visit www.madametussauds.com/orlando or follow @tussaudsorlando and #FindTheMotherBoxes on Instagram. Ben Affleck, Henry Cavill, Gal Gadot, Raymond Fisher, Jason Momoa and Ezra Miller star in the action adventure Justice League. Fuelled by his restored faith in humanity and inspired by Superman's selfless act, Bruce Wayne enlists the help of his newfound ally, Diana Prince, to face an even greater enemy. Together, Batman and Wonder Woman work quickly to find and recruit a team of metahumans to stand against this newly awakened threat. But despite the formation of this unprecedented league of heroes—Batman, Wonder Woman, Aquaman, Cyborg and The Flash—it may already be too late to save the planet from an assault of catastrophic proportions. Justice League was directed by Zack Snyder from a screenplay by Chris Terrio and Joss Whedon, story by Terrio & Snyder. Based on characters from DC Entertainment; Superman created by Jerry Siegel and Joe Shuster. Charles Roven, Deborah Snyder, Jon Berg and Geoff Johns produced the film, with Jim Rowe, Wesley Coller, Curtis Kanemoto, Chris Terrio and Ben Affleck serving as executive producers. Madame Tussauds Orlando is an interactive wax experience where guests are guided through immersive themed rooms where they can shake hands with the President, get on stage with pop princesses, or get up close and personal with a Hollywood heartthrob and take the ultimate selfie! For more information, visit www.madametussauds.com/orlando. Warner Bros. Consumer Products (WBCP), a Warner Bros. Entertainment Company, extends the Studio's powerful portfolio of entertainment brands and franchises into the lives of fans around the world. WBCP partners with best-in-class licensees globally on an award-winning range of toys, fashion, home décor, and publishing inspired by franchises and properties such as DC, J.K. Rowling's Wizarding World, Looney Tunes and Hanna-Barbera. The division's successful global themed entertainment business includes groundbreaking experiences such as The Wizarding World of Harry Potter and Warner Bros. World Abu Dhabi (opening 2018). With innovative global licensing and merchandising programs, retail initiatives, promotional partnerships and themed experiences, WBCP is one of the leading licensing and retail merchandising organizations in the world.